Members of the Woodworkers of Central New York demonstrated woodworking during the 2019 New York State Farm Show. This show, held at the New York State Fairgrounds just northwest of Syracuse, is held every February. For 2019, the dates were February 21, 22, and 23 (Thursday thru Saturday). The show runs from 8:30am to 4pm. We demonstrated in the Daniel Parrish Witter Agricultural Museum which is located just south of the new Exposition Center and across from the Coliseum. This was the first time the Museum was open during the Farm Show and what a response we had! We used our electrified equipment to demonstrate for this special show. 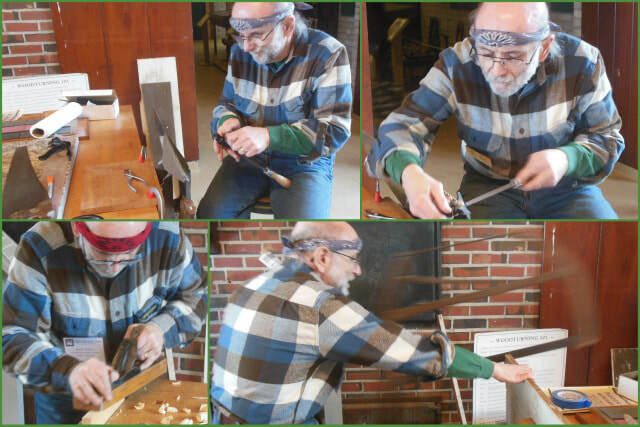 Members made a variety of items, learned from each other, and discussed woodworking with our visitors.